This week I have decided that jam parties need to be a thing, a weekend long event where you indulge in not just delicious sweet jams smothered over freshly baked bread but also feast on chutneys served with cheese. If it's delicious, homemade and comes in a jar it can join the party! 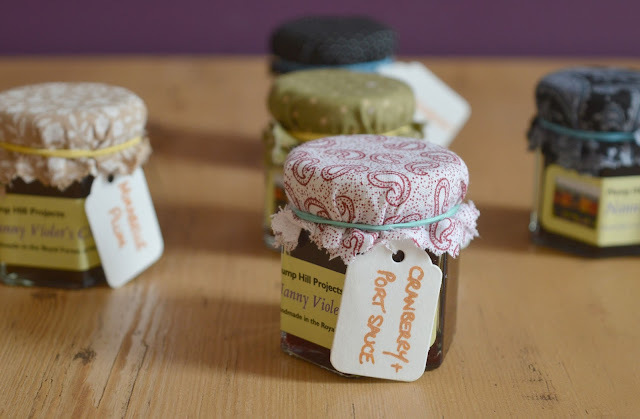 We found ourselves hosting a "jamboree" for two this weekend, when I realised that Nanny Violets Jams had sent me some jars to try quite a while ago now but due to holidays and commitments we were yet to open one single jar! Needing to fully commit ourselves to all things jam we headed to Grainger Market to buy ourselves some local produce fit for a jam party. We all know that Nans are the best at making everything. My wonderful Grandma is in her 90s and still going strong however her days of pottering in the kitchen preparing food for her family are over. I will never forget the delicious Sunday lunches she made (I'm still yet to have a roast beef lunch as good as hers) and her chocolate fudge cakes where she'd tip extra naughty treats into the recipe to make it even better. Like my Grandma, Nanny Violet (who recently turned 100!) has also been impressing her Grandchildren with her fabulous cooking and four years ago her grandson Sean found her old black recipe book and asked her to teach him how to make her jams so he could give them as gifts to friends and family. And so began Nanny Violet's Jams. 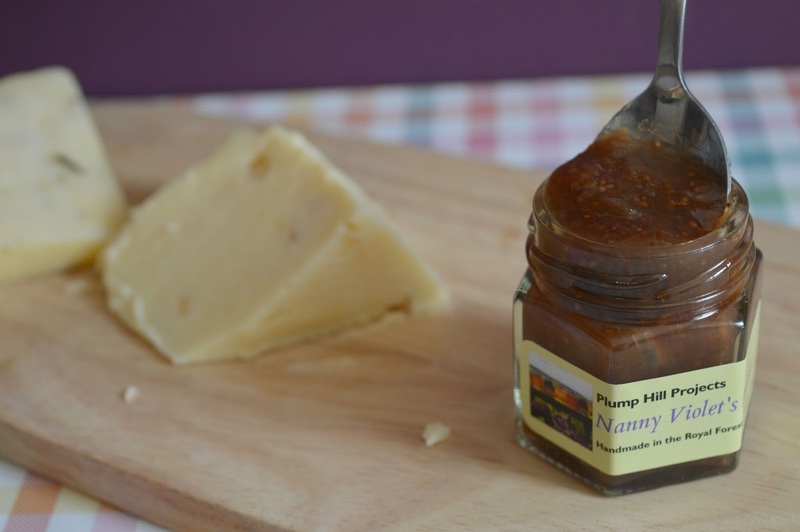 Run by Nanny Violet's grandchildren Shaun and Jodie, the family business makes jams using produce grown in the Forest of Dean and following the recipes passed down to them by Nanny Violet. 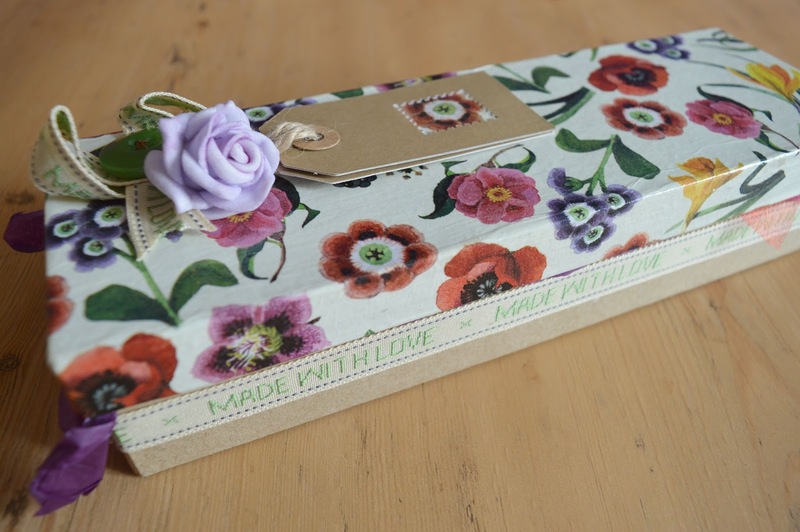 Our jams turned up in a beautiful handcrafted box decorated with flowers, buttons and ribbons. It looked so pretty I almost didn't want to open it. 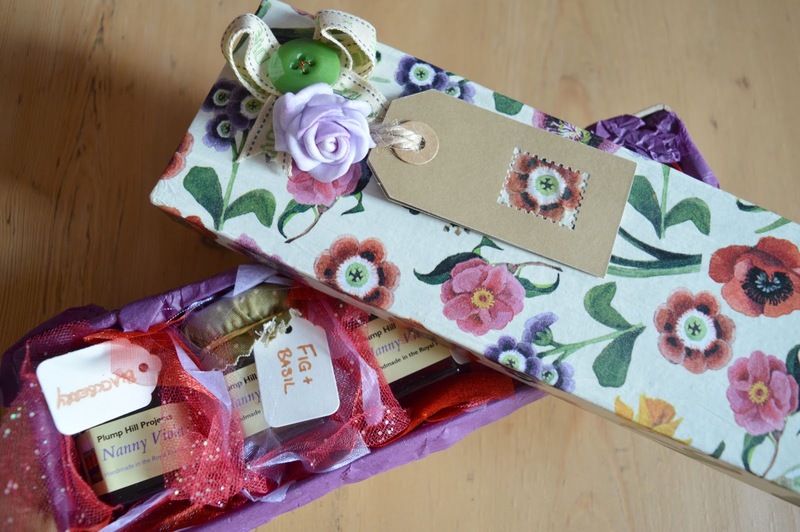 When ordering from Nanny Violet's Jams you can choose from small, medium and oval boxes and for more special occasions heart boxes and baskets. Prices start at £6.00 for a small box of 3 mini jars. They are so beautifully packaged they would make the most perfect gift. We opened our box to find five adorable little jars nestled amongst coloured tissue paper and netting. We were sent a mix box of jars to try with a variety of sweet and savouries. Blackberry, Fig & Basil, Cranberry & Port Sauce, Mirabelle Plum and Blackcurrant. To start our party we decided to put together a little cheeseboard. 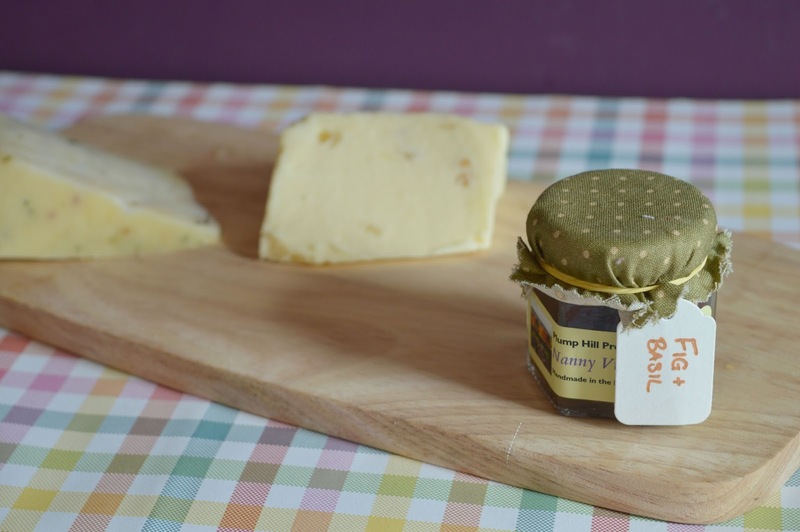 Wensleydale & Ginger and Cheddar & Onion cheeses served with Nanny Violet's Fig & Basil Relish and a loaf of freshly baked bread from the French Oven in Grainger Market. Fig isn't something I've really tried much of so I wasn't sure what to expect. I absolutely loved the taste, it was very different to the kinds of chutneys that I'd usually eat with my cheese and I welcomed the change. It made me realise that I really should start trying different flavours! One of our favourite ways to enjoy jam is with scones. We don't often treat ourselves to them at home but if we find ourselves with a nice pot of jam we can't resist getting some scones to go with them. Perfect with a cuppa in the afternoon or as a naughty treat cuddled up on the sofa in the evening. We bought ourselves some freshly baked scones from the French Oven to have with the Nanny Violet's Blackcurrant jam. 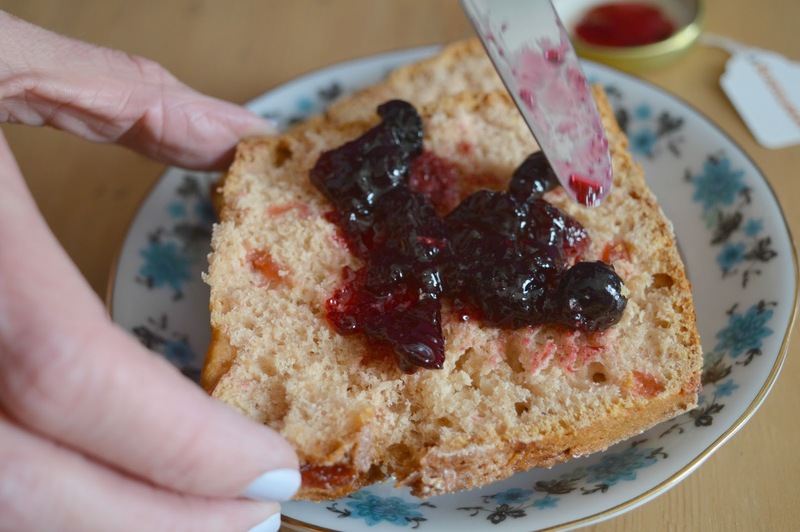 I was really impressed when I spread some out on to my scone and it was thick with huge chunks of fruit. For Simon's sweet treat he opted to try the Blackberry jam smothered over some slices of freshly baked bread. Did anyone else use to have butter and jam as a kid? Watching him making his treat transported me right back to my childhood. Both of the sweet jams were delicious, having become used to overly processed jams you find on the shelves of shops the first thing that hit us was how fruity the jams tasted. No nasty added chemicals, just jars full of gorgeous sticky jams that tasted like we'd just picked the fruits right off the bush ourselves on a country walk. We dived into the Mirabelle Plum Chutney the next day by having a generous amount spread inside our doorstep cheese sandwiches. I loved the huge chunks of Plum that spilled out onto my bread, it was so tasty I scooped almost the entire pot into one sandwich. As for the Cranberry and Port Sauce ... well, I don't want to tease but you'll have to come back at Christmas to hear about that one. We're saving it for our first Christmas together in our new home. 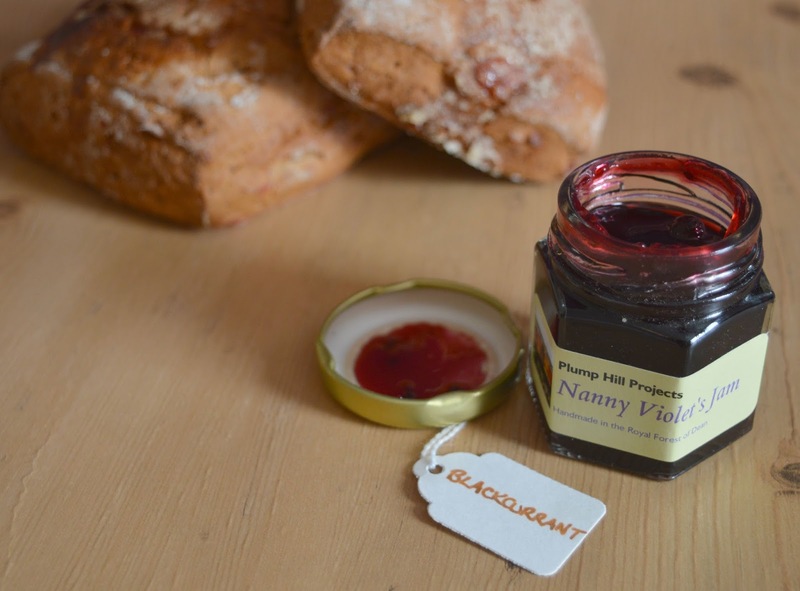 We loved trying out Nanny Violet's Jams and if you are looking for present inspiration I can recommend purchasing a box or two. I know where I'll be heading to do my Christmas shopping this year! I only recently realised that I actually love relishes and chutneys, having previously avoided them just because I didn't think I'd like them! So glad I've decided to branch out now because they just make everything so much tastier. These jams all look delicious, and I absolutely adore the packaging! There's something lovely about getting a hand packed parcel isn't there... it's just so much nicer knowing that someone actually wrapped it and not a machine! Wow! Congrats to Nanny Violet on her big birthday! 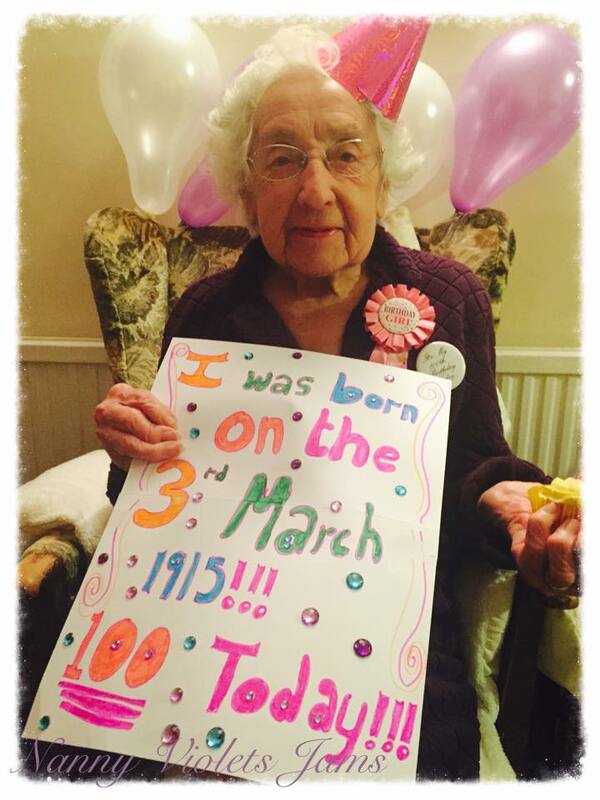 Amazing that Nanny Violet is 100! I agree, there is no better food that what your Gran can make. I love homemade jams. But I could never made them myself. I'm going to book mark this page for when Christmas time comes around as I think it would make a fab present. I love Nanny Violet's Jams - the strawberry one is my absolute fave! And what a good name for a party - Jam Party! That is such a lovely idea - nothing is better than jam and thick white bread. These are so adorable and I love the packaging! I agree they would make a wonderful gift. 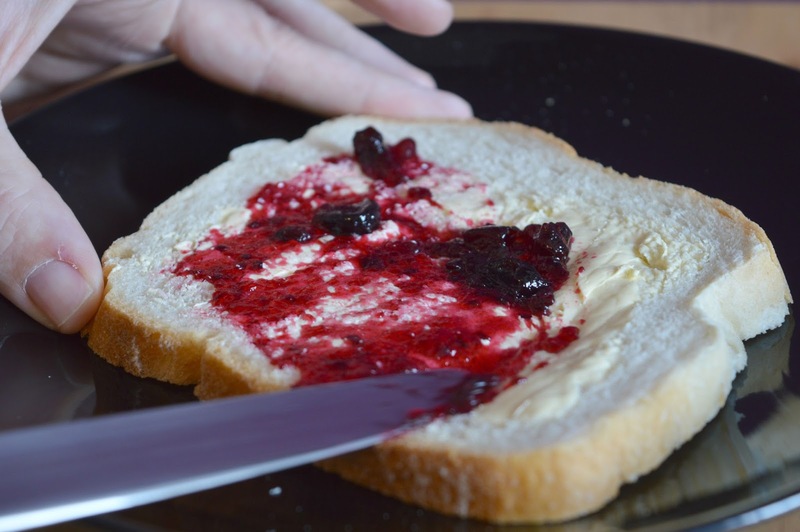 I couldn't stand to have butter and jam together - in fact the thought of it is turning my stomach! It has to be just jam or just butter for me!